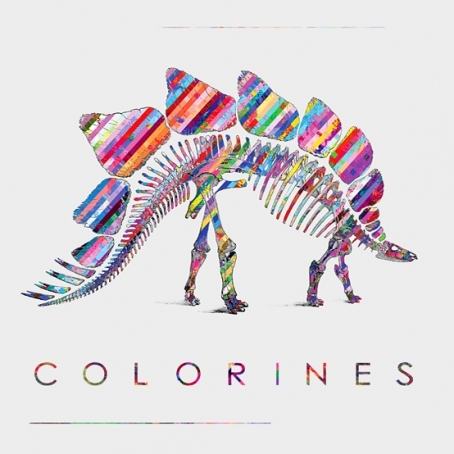 It's our pleasure to premiere The Colorines' brand new EP, Paleontology, which is the first batch of songs ever released by this soon to be fountain-of-music. The Colorines are Robosco, Dwreck, Ozkr and Grim, and formed earlier this winter. “Each member brought a song or two from either a previous band or one they had been sitting on” Dwreck tells us, creating a mini-smorgasbord of instant classics. The EP starts off with “You’ll Forget This”, which is possibly the most memorable song of the lot (go figure). A beautiful melody paired with a muted bass and baroque harmonies reminds us of something off of The Beach Boys' “Holland” or "Friends" records. Other stand out tracks include the haunting and retrospective ballad "Pseudosyde", the theme song to the 21st century loner. Dwreck takes lead on the number singing lines like: “everybody thinks that I died” and “I don’t see them crying over me, everyone’s having some, and I’ma get me some”. One can’t help but feel optimistic, although this song seems to be derived from nostalgia and those crappy high school years of days gone by. Though we are totally getting into the darker tones of The Colorines, adding a more upbeat song like “Haircut” towards the end of the EP comes with a sigh of relief. 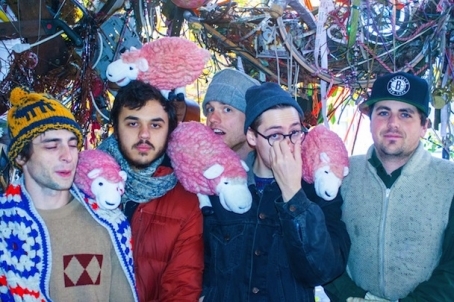 A stream of consciousness about haircuts, hot moms and Facebook-stalking paired with Dr. Dog-like harmonies and a catchy bass and rhythm section that a young Beck would have been jealous of, makes this a great song to welcome Spring (or at least welcome the extra hour we’ve been rewarded by daylight savings). The EP closes with “The Postmodern Life”, which hits us back again with darker notes but also remains to be the most driving song we’ve heard yet from the Colorines. The chorus is catchy and relatable to every 20 something living in the city: “...coming off a bad year, tell me where you’ve been all the time? ...even if it’s greener on the other side, keeping a live but you can’t make it high…” Maybe it should be renamed "The Postcollege Life"? Psychedelia is often associated with big guitar parts, lots of reverb, and a sound that's at once surreal and epic - I guess that's the heritage left by bands like The Doors and Pink Floyd. But there's a less grandiose, more playful and varied current of psychedelia, more interested in the bizarrely kaleidoscopic side of dreaming. Forged and explored in depth by The Beatles, it was rehashed most famously by Olivia Tremor Control at the turn of the millennium, and less famously (but brilliantly) by XTC with their side project The Dukes of Stratosphear in the mid 80s. This is the sonic ground were Brooklyn's Cloud Becomes Your Hand draws inspiration, adding to the mix their penchant for crooked, almost jazzy melodies, which place them on similar songwriting terrain as other heavily experimental but gentle sounding NYC bands like Dirty Projectors and Celestial Shore (both past Deli Records of the Month). These elements make of "Rock of Cakes" a psych-pop album without pop melodies (therefore not really pop music) but nonetheless extremely imaginative and enjoyable. Stream the full album here and see the band live at Roulette on Sunday 03.02. LINKS: John McGovern Interview with Cloud Becomes your Hand. 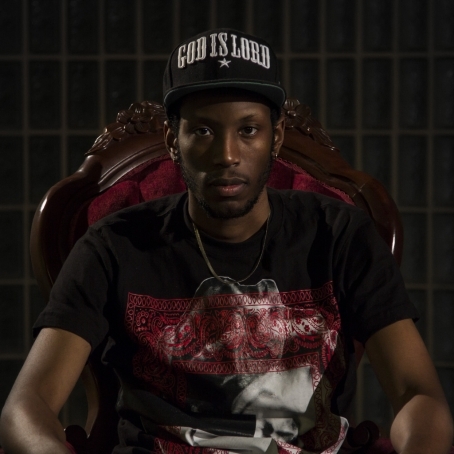 Murph Watkins is one of the emcees to watch in 2014, and he released a new track called "All Is Fair" featuring Wheatie this week. The track is produced by Zel Vinsun. Watkins made his mark in 2013 with the release of his mixtape "Loose Women N' Booze", but he is clearly destined for bigger and better. Hemlock Tavern, a small bar that features great music acts, will be hosting a night of some bands bringing stylistic twists to the well-known rock and roll genre. Lemme Adams, who just released a new album, “Gorilla Back” this August, will be bringing some experimental psychedelic rock to the bill, bringing a trumpet and trombone twist to an otherwise eclectic daze sound. Hungry Skinny takes the classic blues rock sound and adds a dirty twist to it. 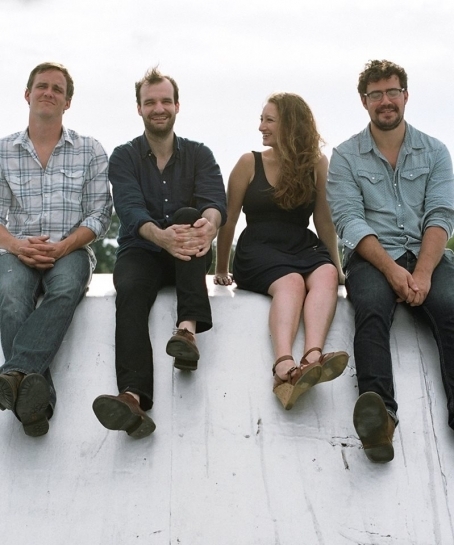 Fox and the Law, coming from Seattle, bring a garage rock sound to the line-up, while mixing very unorthodox, but enchanting, vocals to the mix. 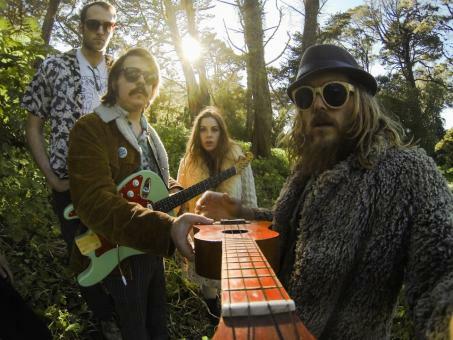 Electric Shepherd, who just released their new single, “Glass Devil Blues,” use classic psychedelic riffs and breakdowns, a funky rhythm section, and a large amount of heavy drive to create their heavy psychedelic rock sound.